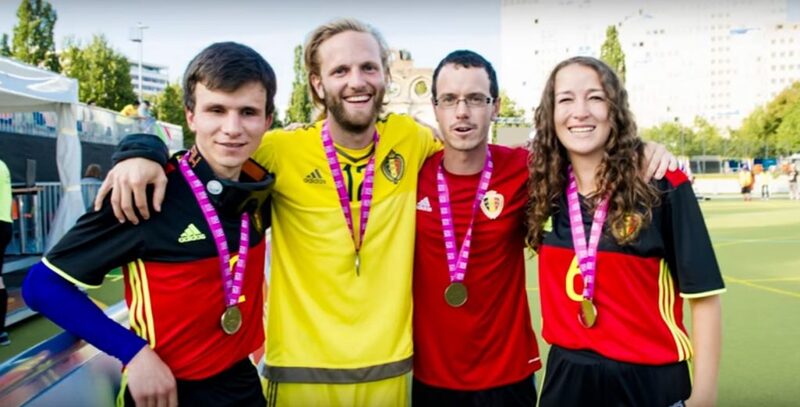 Belgium’s Dorien Cornelis made history last August as she became the first female blind football player to ever compete at an International Blind Sports Federation (IBSA)-sanctioned event at the European Championships in Berlin, Germany (reports paralympic.org). This landmark moment in blind football entered at No. 14 in the International Paralympic Committee’s (IPC) Top 50 Moments of 2017. The 25-year-old made her debut in a match against Turkey on 19 August, which her team lost 7-0. “It was awesome and I was not nervous. After the game I was feeling so grateful with the public being so enthusiastic about it,” she said. Belgium went on to claim a 5-0 victory over Georgia, before being subsequently defeated by Spain, Russia and Italy to finish in eighth place. “I would want to encourage other women to try blind football because it is such an amazing sport. They should not be scared. This is a male world, but in the upcoming years I think more women will be included. So go for it!” added Cornelis.